A 34-year old man who is suspected of killing a woman the same day he was released from prison was arrested this weekend at an Arizona hotel. According to a news release from the Tucson Police Department, Authorities and members of the U.S. Marshals, Fugitive Task Force took David James Bohart, 34, into custody at a hotel in the 7000 Block of South Tucson Boulevard after calls from an unknown caller suspected him of killing Marika L. Jones, 49. Bohart had been released from prison on Monday, Nov 19th and failed to complete his check in at a court-ordered treatment facility located in Cottonwood. Police have confirmed his release with The Arizona Department of Corrections and issued a warrant for his arrest when he failed to show up. 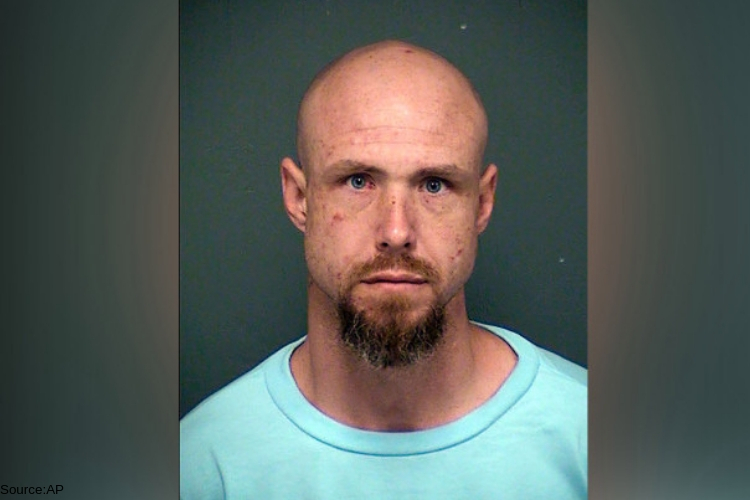 During the news release, police announced Bohart was booked into a Pima County Jail due to the warrant and on suspicion of second-degree murder. He remains in jail over the weekend and online court records do not list an attorney who could speak on his behalf. As reported by the police department, around 3 pm on Wednesday, Nov. 21, Tucson police received a call from a man who identified himself as an out-of-state attorney, notifying them that someone was either seriously hurt or dead at a residence in the 5700 blocks of East 24th Street. Authorities race to the home, between Van Buren Avenue and Sahuara Road, only to find Jones’ body with critical injuries. During the investigation at the given location, police told homicide detectives an unidentified man called 9-1-1 on Monday to report he was just released from state prison and had brutally stabbed his girlfriend. However, police stated the man did not give a real name and said he didn’t not the exact address where the murder took place. The department investigated yet could not link anyone back to the unknown call. But despite the unknown caller, the area given by the unidentified man was the same area that detectives were currently working the homicide. During the search, authorities found a Department of Corrections file box belonging to Bohart. According to the corrections department website, Bohart served two previous prison terms, due to a forgery conviction, and the other was another conviction for possession or use of dangerous drugs. The Department of Corrections records confirms, Bohart was admitted into prison on Aug. 4, 2016, and released on Nov. 19.